* The beneficial effects are observed when taking, just before bedtime: 1 mg of melatonin (sleep); a minimum of 0.5 mg on the first day of travel, continuing for a few days after arrival at destination (jet lag). Gumplant and eucalyptus exert an emollient and soothing effect on the oropharyngeal mucosa while horehound and elecampane promote free fluidity of bronchial secretions. In addition, cherry laurel plays an antioxidant role; German chamomile, lemon balm, passionflower and lavender have a calming effect; Roman chamomile, passionflower and feverfew are useful in combating menstruation complaints*. 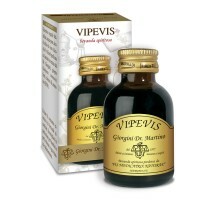 Herbal supplement fortified with amino acids and vitamins. Valerian, passion flower, sweet woodruff, griffonia, hops and chamomile help induce sleep and, in association with bitter orange, support relaxation. Valerian and hops are useful for relieving stress whereas bitter orange, chamomile and griffonia help maintain mental well-being. Griffonia can maintain normal mood and vitamins B1, B3, B6, B12, C, folic acid and biotin support healthy psychological function*. Passionflower supports sleep and relaxation in case of stress and can help maintain your mental health and wellbeing. Furthermore, it sustains gastrointestinal motility and gas elimination. Herbal food supplement fortified with carnitine, minerals and vitamins. Hawthorn, motherwort, rosemary, lapacho, red grapevine and ginger maintain normal cardiovascular system’s function whereas passionflower and valerian support relaxation in case of stress. In addition, Vitamin B1 contributes to keeping normal cardiac function. Food supplement containing herbs and magnesium. Lemon balm, hawthorn, chamomile and tangerine promote relaxation and mental well-being. California poppy, linden and lavender exert a calming effect in cases of stress and, along with chamomile and passionflower, facilitate sleep. Furthermore, magnesium contributes to the nervous system function and maintains normal psychological functions. Hypericum, lemon balm and griffonia contribute to maintaining normal mood, promote mental well-being and, in association with passionflower, stimulate relaxation.